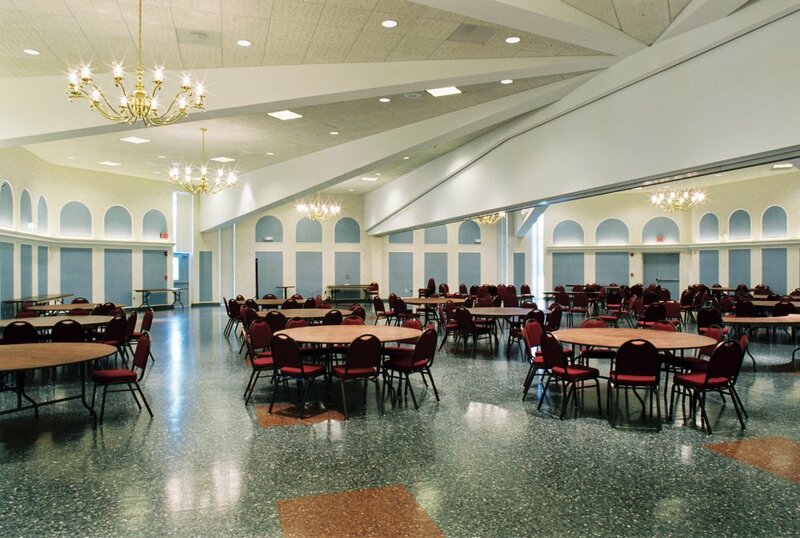 After St. John’s Catholic Church built a new church, they hired Dean R. Camlin to convert the old octagonal church building into a dining hall, which was later renamed the “Portico.” This view of the hall features the radial beams reflecting the original roof structure. Visible on the right is the supporting bulkhead for the new retractable partition, which can divide the room in half for concurrent events. Photography by Howard Doughty.